We had to push back our open call for new clients. We will soon be ready to take new clients for the summer/fall. If you're already signed up for the mailing list, please look for the email notification in your inbox soon. Thank you! We now have a Cancellation List form. You may sign up to be contacted if we get a cancellation which may allow you to be seen within a week. IMPORTANT NOTE: This is not the official Appointment Request Form. The cancellation form is not a substitute for the actual appointment request form. 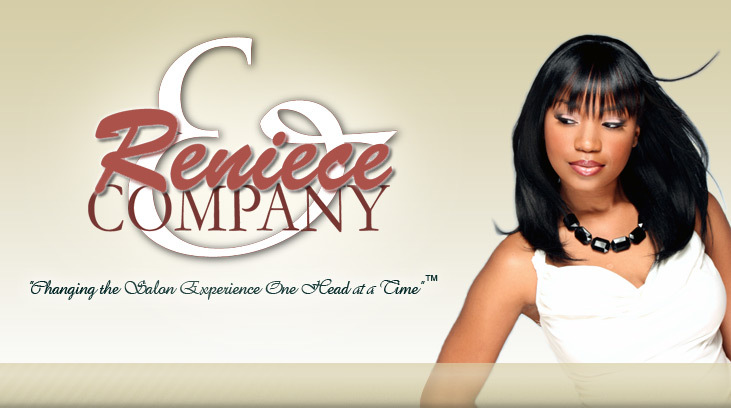 Starting January 2010: A deposit of $120 will be required for ALL weave appointments (1st, 2nd, 3rd and so forth) for all clients. A deposit of $120 is required to secure your appointment. The deposit will be applied to the total cost of your service on the day of your appointment. It is due immediately after booking the appointment. The deposit for your very first appointment must be made by postal money order (mail-in) or cash (drop off in person). Do not mail your deposit without hearing from Reniece first -- At that time, you will be schedule a tentative appointment. THEN you can send off the money order. Appointments will not be held without a deposit. 48 hours notice is required for all cancellations, otherwise the deposit becomes non-transferable and it serves as the cancellation fee.